I visited my local op shop today looking for a white dress to destroy for a dress up party. Well, I ended up visiting three before I found what I was looking for but, it was in my local goodwill store that I came a true treasure. Well I'm assuming they think it's some sort of treasure. Hey! Is that a stain? How much for this beauty? 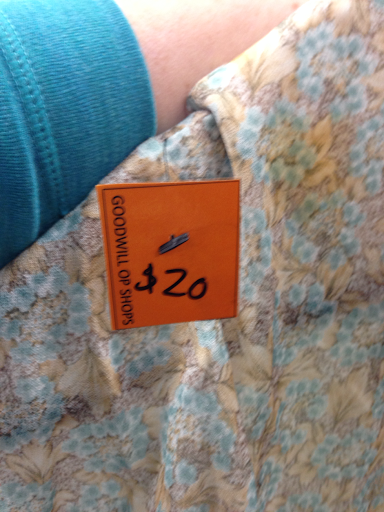 $20??!! Are you kidding me? Ooh maybe it's vintage Chanel! 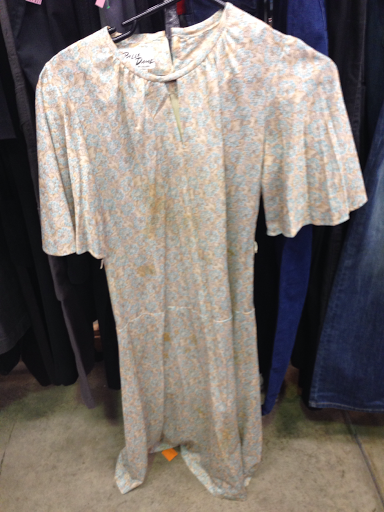 Why is this stained dress worth $20? I just don't know! 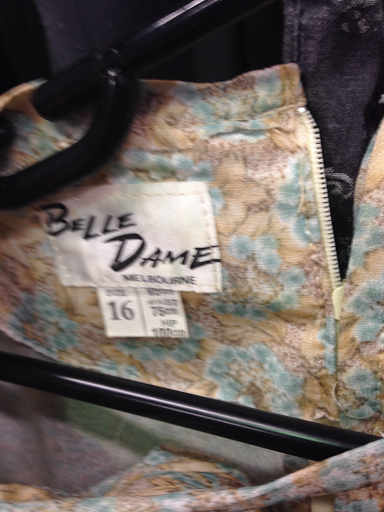 Is Belle Dame some completely fabulous old Australian label? Are they blind? Did someone try on a perfectly unstained dress and then spill their coffee down it pretending to be Audrey Hepburn from Breakfast at Tiffany's in the change room and then quickly pop it back in the racks? 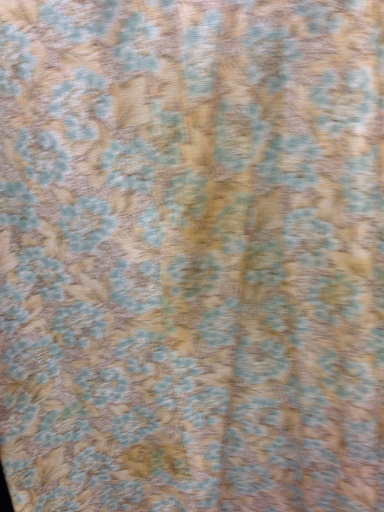 This is the same place that wanted to charge me $25 for a stained tablecloth!